I love celebrating life with good, wholesome delicious food. Waking up to this raw strawberry immune booster smoothie first thing in the morning feels particularly special. Maybe it’s just the nice glasses we use to make a meal feel more special. It’s so easy to make smoothies and make them look good too! This strawberry immune boosting smoothie is loaded with anti-oxidants and immune boosting vitamins. For this immune boosting smoothie, all you will need is a high powered blender like a Vitamix. I personally recommend the Vitamix over the blendtec.. It’s one of the top 4 essential raw food kitchen tools I highly recommend. You don’t absolutely need a high powered blender to make smoothies but you will notice a huge difference in texture and smoothness. 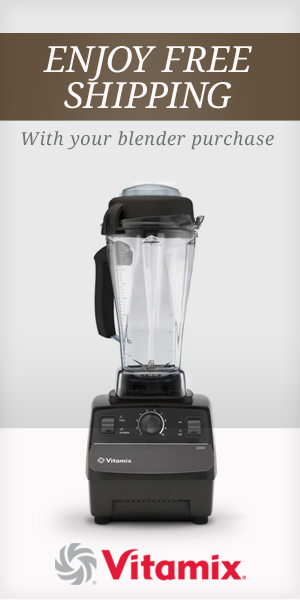 Once I bought my Vitamix, I knew I would never go back to lower-quality blenders ever again. If you like to add more protein to your smoothies you can also try adding a couple of tablespoons of whole organic hemp hearts. I recommend avoiding protein powders. Camu Camu powder is one of the highest plant-based source for vitamin C. Strawberries are also high in vitamin C, and super delicious! Maca is a great adaptogen, and is great for supporting our adrenal function, reducing the effects of stress on our bodies. This strawberry smoothie is great for boosting energy, boosting immune function, and supporting our adrenals – a great way to start the day!